If you continue, your cart will be cleared and you will return to the previous page. Do you wish to continue? Take four to six (4-6) capsules daily with 8 oz of fluid. For best results, we recommend taking two to three (2-3) capsules, morning and evening. 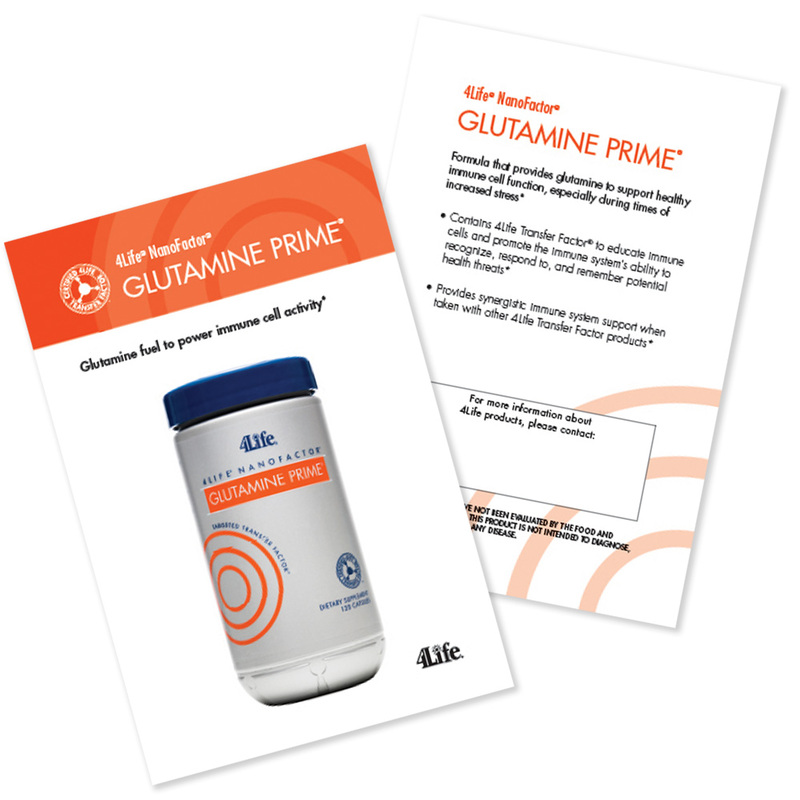 Would you like to add 4Life® NanoFactor® Glutamine Prime® to your recurring Loyalty Program order? WE ARE PROUD MEMBERS OF THE DIRECT SELLING ASSOCIATION. TO VIEW THE CODE OF ETHICS BY WHICH WE ABIDE, PLEASE CLICK HERE. TO FILE A COMPLAINT, PLEASE CONTACT US AT [email protected]. IF YOU ARE UNSATISFIED WITH THE RESOLUTION, YOU MAY ESCALATE YOUR COMPLAINT TO THE DSA BY CLICKING HERE. You are trying to view a My4Life page. Please log out in order to view this website.